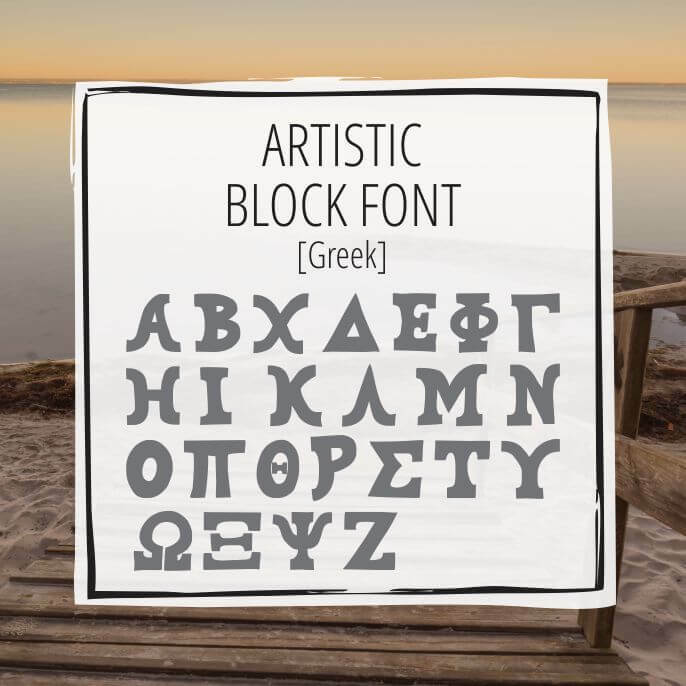 Looking for that artisan hand crafted Greek font? Look no further! 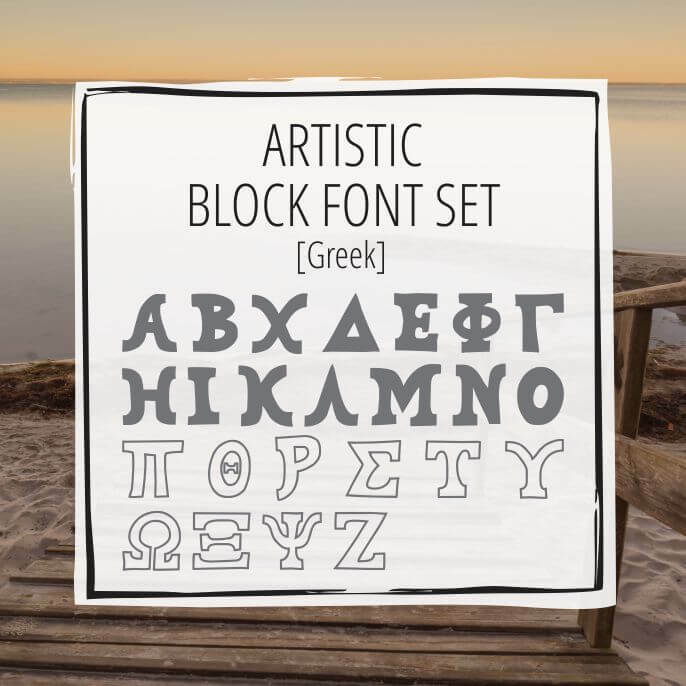 The Artistic Block font set has two sets of 24 Greek characters perfect for that designed by hand look. 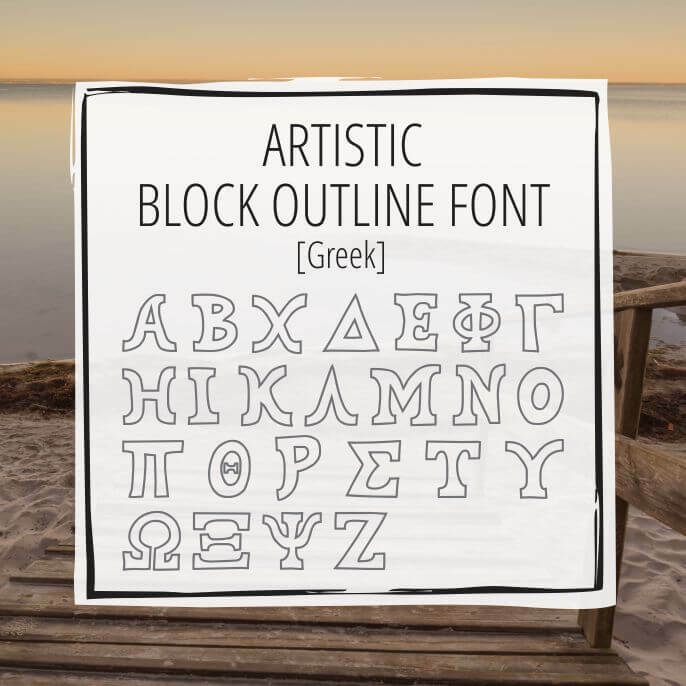 These fonts can also be purchased separately as Artistic Block and Artistic Block Outline.